4th September 1916, aged 29. 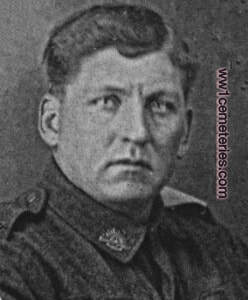 Arthur left Wexford, Ireland to fight with the Royal Munster Fusiliers. 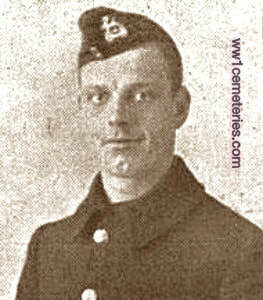 He was wounded during the battle of the Somme and never returned to Ireland. He left behind a loving wife (Martha O'Brien) and three children - Catherine, Patrick & Thomas. 11th July 1918, aged 34. Son of Mr. J. W. Palmer, of Springfield, Missouri, U.S.A.
"He was batman for an officer in "B" Coy. Happened at Corbie on the Somme, we were back from the line, Price was having breakfast when he got hit. He got a 4.2 shell practically to himself, tearing away his left shoulder, he lived for about 20 minutes after. I saw the shell explosion just outside a chateau in which was our R. A. P. (Regimental Aid post), he was in pain but conscious to the last. He asked for a drink of water which was given to him before dying." 8th July 1916, aged 33. Hisband of Mrs Richardson, 9, Cedar Street, Burnley. 20th July 1916, aged 23. Husband of Elizabeth Ricketts, of Wokingham, Berkshire. 5th August 1916, aged 33. Son of Mrs. and the late Mr. Richard Riley, of Hambleton, Poulton-le-Fylde, Preston. 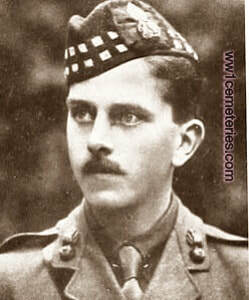 ​26th August 1916, aged 25. Son of Walter N. and Elizabeth Russell, of School House, Glendevon, Dollar, Clackmannanshire. Born at Glendevon. M.A., B.D., St. Andrew's University. He took his commission instead of joining the Ministry of the Church of Scotland. 6th September 1916, aged 22. Son of Charles and Louisa Sangster, of Overdale, Russell Road, Moseley, Birmingham. 25th August 1916, aged 25. 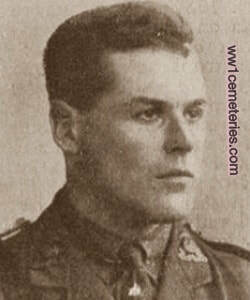 Son of Charles Henry and Millicent Schill, of Croston Towers, Alderley Edge, Cheshire. Son of the late Charles and Louise Shearman, of Tynemouth. 4th September 1916, aged 27. Son of Capt. W. De C. Stretton and Mrs. Stretton, of Salcombe, S. Devon. Gerald Wyman Towell, M. C. and Bar. Son of Henry J. and Alice L. Towell, of High Firs, Gt. Missenden, Bucks. Educated at Clifton College and R.M.A., Woolwich. 18th June 1916, aged 24. 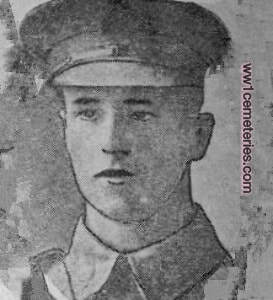 Son of William and Elizabeth Type, of 8, Garth Terrace, Penyard, Merthyr Tydfil. 9th July 1916, aged 25. Son of Daniel A. and Marie L. Veresmith, of Abbotsbury, Mottingham, Kent. 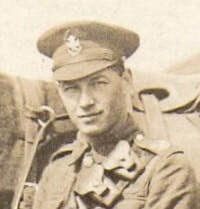 16th May 1918, aged 21. Son of Charles Herbert and Anna Wells, of Manor House, Hempstead, Norfolk. Obtained his commission in the 7th Bn. 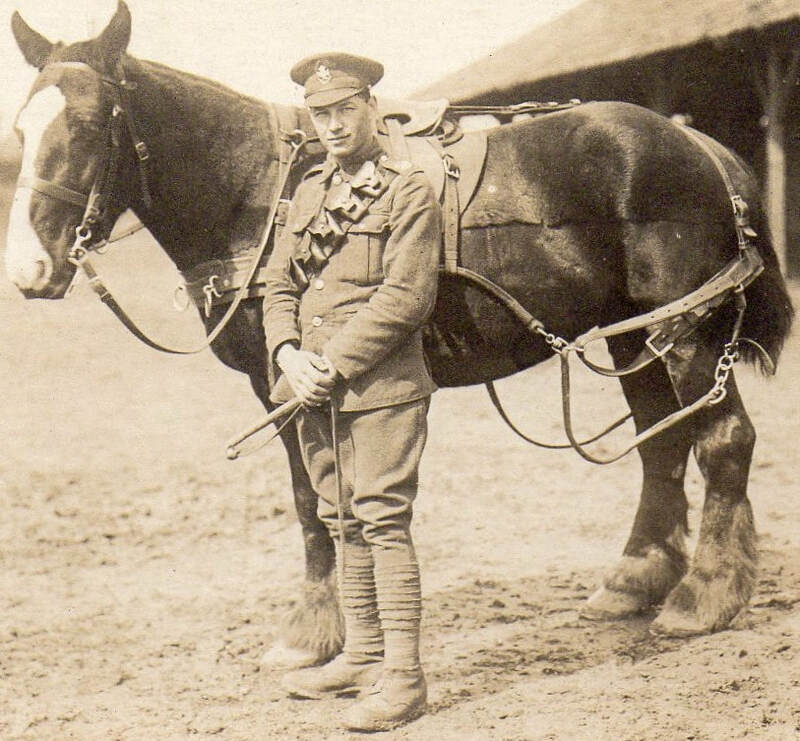 Royal Lancaster Regt., 1914, transf. to R.A.F., 1918. 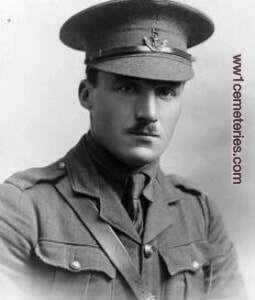 25th August 1916, aged 27. Only son of John and Rose Ann Wilkinson, of 46, Manchester Street, Salford, Manchester. 7th July 1916, aged 39. Son of Mr. and Mrs. W. Wreford-Brown, of Clifton, Bristol, Gloucestershire. Died of his wounds on 1st August 1916, aged 33. Son of Samuel and Elizabeth York of Deeping St James. Born on 8th September 1883. In January 2016 my idea was a speedy 170 mile drive from Nuneaton to Dover ; across the channel on a cheap middle of the night ferry ; onward to the Somme Battlefields area , find and photograph Harrys grave , pay our respects and thanks , then set off back north and be home all within 24 hours , having spent no more than £200 , but taking a tent just in case ! .…………………… That was until my wife Val got involved …………… I was told , “ If you want me to come , we are not doing that ”. The boss won , as she always did , and my plans were altered ; drastically ! 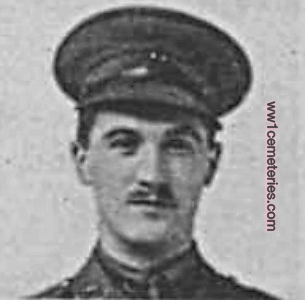 This is what happened : - the “ Family History “ target was Harry York , my maternal grandmas brother , a Deeping St James man who lost his life whilst fighting for us at the Somme on 1stAugust 1916 , a century ago . He was laid to rest in Corbie Village Cemetery about half way between the towns of Amiens and Albert , about 100 miles into France . My promise was to visit him as no-one in the family had ever been able to . My day-visit turned into a 5 day continental break , completely organised on Vals behalf by my northern Daughter-in Law , Vikki . Cost nor timing came into her thinking ! Along came Sunday July 3rd …… Just the two of us set off on a sunny day and drove to an overnight stay in Folkestone ; a morning train under the channel on the 4th, then a short drive of 30 miles to our next overnight stay at a hotel in St Omar . Our evening meal was in the sun at a restaurant in the lovely market square . First thing next day, 5thJuly it was drizzling . Travelling south on the country roads for about an hour we made good progress ; and the sun came out ! 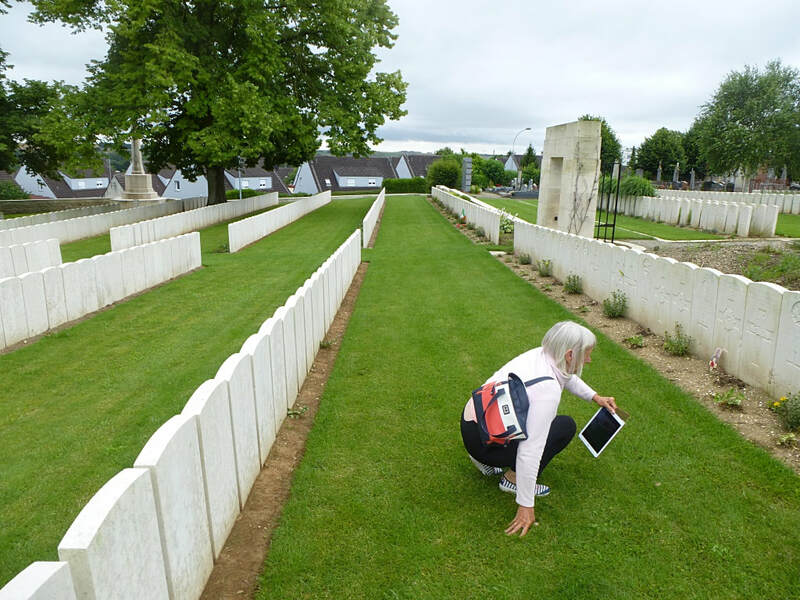 Soon we began to notice the military cemeteries which came thick and fast on both sides of the road as we approached the northern outskirts of Corbie . This was “ the Somme “ and no roadside hedges . One cemetery site was particularly eyecatching although small . It was below us , about 200 yards away, in the valley to our left , within a ripe yellow cornfield . An area of 100 square yards or so was enclosed by a dwarf wall with a tall vertical stone monolith at its centre with gravestones all around . Was this it ? The sat-nav said so .Adrenalin was up ,the road was empty so we parked up and walked quietly down to the cemetery and looked around . The soldiers were buried where they fell fighting . All were named, all from different Regiments …..………. Very moving but not Harry . Continuing to the small town of Corbie we accidentally came across what we were looking for ………………Corbie Cemetery Extension . Parking up adjacent , looking around the entrance , I took some photographs whilst Val went straight into the cemetery which was on a slight rise away from the public highway , behind a white granite wall . I followed her inside and saw her beckoning to me ……………… she immediately found Harry in the midst of hundreds of other soldiers buried there ……………… The touching gravestones were aligned in eight straight rows some 100 yards long rising gently away from the entrance . The cemetery width was about 60 yards . Harry was in the middle of the first row of graves . The whole place was immaculately kept by the Commonwealth War Graves Commission , ………………. Top marks to them . Lots of the graves had new flowers on them . We stood with Harry for a few minutes, looking to all 4 points of the compass , then , planted a geranium above him with a single red rose flower stem to each side . A few more photographs , a little cuddle for Val , as she was close to tears , an exchange of hugs with a French lady who was watching us , and back into the car . A little smile to each other ; Rest in peace Harry . Very sad . We followed the battlefield front line north-east on small country roads, probably those Harry marched along , leading to Albert where we found the town decorated with masses of union jacks and coloured bunting . Tributes to our soldiers were everywhere …………. Very impressive . On to the Thiepval Monument erected in remembrance of soldiers with no grave . Since a child I ‘d always been fascinated by the phrase “ no known grave “ . The previous week our Royals , the French President and many other “ bigwigs “ had met there for a service of remembrance and as such the site and its environs were a little scruffy and needed cleaning up . Now it was late afternoon and time to start the second part of our adventure …… “ Vals Holiday “ . Not wanting to travel in the dark we set off towards Ghent following the “ battle-towns “ of Bapaume , Cambrai , Arras , Lens and Lille . So it was goodbye to Harry and the Somme and War as our thoughts turned to enjoying ourselves for a few days . Ghent for two nights then Brugge for one finished off our trip . We loved the town of Ghent , not so much Brugge. Come Friday and off along the coast road to Calais , with a little stop-over for lunch on the Dunes at Nieuport , the place where “ The Hun “ captured our uncle Arthur William Mountain ( aka Cecil ) on 10-7-1917 , he came home . And yes there were lots of guys “ hanging around “ , the entrance to the Channel Tunnel Shuttle Train . Foot down , central locking on and drive on , 30 minutes later drive off , up the M20 , under the Dartford Tunnel onto M25 , M1 then M6 and Nuneaton ……………. Still thinking of Harry , home again , shattered but fulfilled on the evening of Friday 8thJuly . Roger S Andrew , 14th January 2017 .